The clergy and authorised ministers of St Cuthbert’s are privileged to be called on to conduct funerals for those who have lived in our parishes. Everyone who has lived in our parish is entitled to come to us for their funeral, regardless of their church connection. 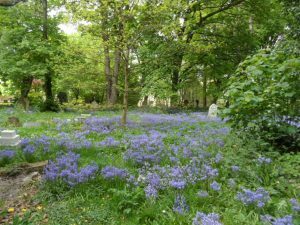 Sometimes these funerals are held in church, and at other times the funerals are in the chapel of the crematorium or at a woodland burial site. We are pleased to join with the bereaved in giving thanks for their loved one’s life and to commend them to the loving mercy of God. 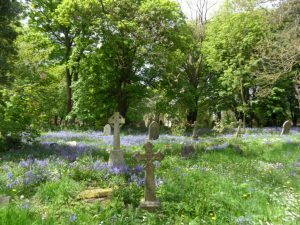 While we will conduct a Church of England funeral service, there is room within that for you to make your own choice about readings and music. We believe that God’s love and power extend over all creation. Every life, including our own, is precious to God. Christians have always believed that there is hope in life and that there is new life in Christ after death. As the parish church, we are here for you at a difficult time. After the service we remain here to support you if needed. In time you may want to add the person’s name to our book of remembrance within the church. Each year, at the beginning of November, we will invite you to a service of commemoration. We also offer a Bereavement Support Group which meets weekly at our sister church St Giles Church, Durham. If our church community can help in any way then please contact our clergy or the parish office. We have a good working relationship with our local funeral directors, who will normally guide you in arranging a funeral. You can find more details and information about funerals and the support the church can offer here.